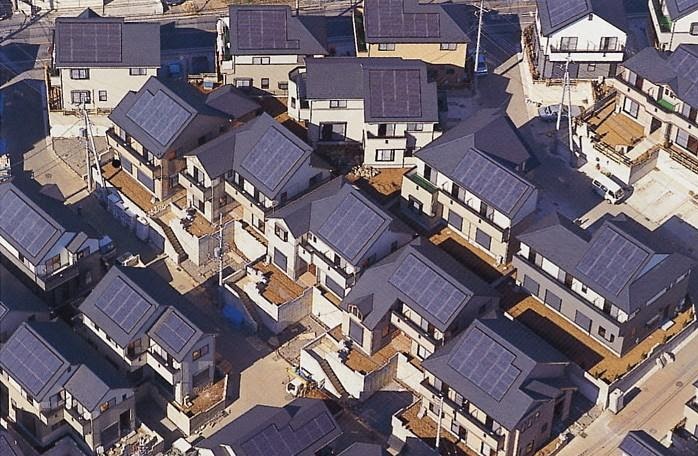 Solar Panels – Power to the People. The Government has launched a “Green Paper on Energy Policy” for consultation to the public. It’s basically an extended public survey. There are many questions to be asked and answered about how you as an Irish citizen want your energy to be produced and delivered in the future. Questions such as should solar panels be subsidized? Should you be able to sell the energy produced by solar panels back to the grid at a fair price? Should heat produced by solar panels for heating water also receive a payment? From our point of view solar panels both for electricity generation and water heating are and will be increasingly an incredibly valuable part of our energy infrastructure and have the ability to change the way we think and use energy for the better. People who use solar panels to produce energy at home LOVE THEM! It gives them a true sense of control over their household, their bills and their future. It literally is giving power to the people. Solar Panels are your vote. In fact solar panels will be at the forefront of whether we will have a sustainable energy policy in Ireland or not i.e. if solar panels are supported (particularly solar pv panels) the policy makers will accept that a decentralised energy system is part of our future and this is key to sustainability. Till recently solar panels have been glossed over by our policy makers as being not very effective in Ireland but this is a gross underestimation of the technology. The real value of solar panels is their versatility they can be installed anywhere and will instantly begin producing clean green heat and electricity – this scares the bejesus out of large centralised energy providers because the power (and money) is being taken out of their hands and being placed in yours – this is energy democracy and solar panels are your vote. But solar is just part of the picture other non solar panels related questions include – Should unconventional gas be fracked, or stay in the ground? Should Moneypoint just keep burning coal, or be shut down? Should we grasp the opportunity to develop a mix of clean renewable technologies that are community owned? How can we reduce energy wastage and use energy more efficiently? I trust you will answer these with an eye on the future which we can shape right now.